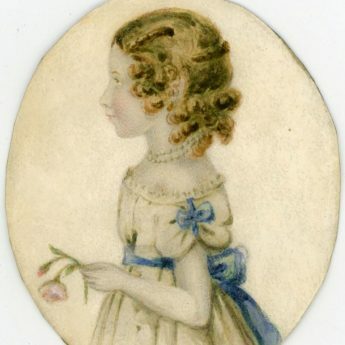 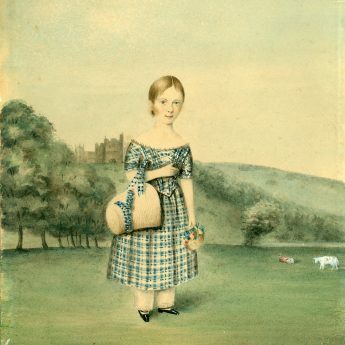 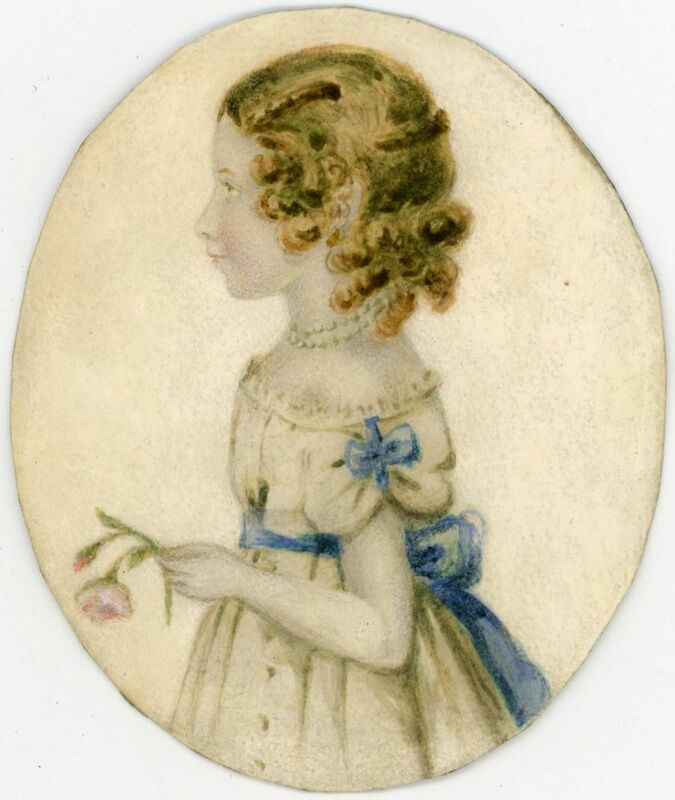 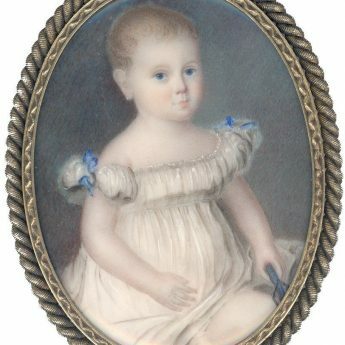 Standing patiently for the profilist, this little auburn-haired girl is holding a pink rose and is wearing her prettiest dress trimmed with blue ribbon bows and a pearl necklace. 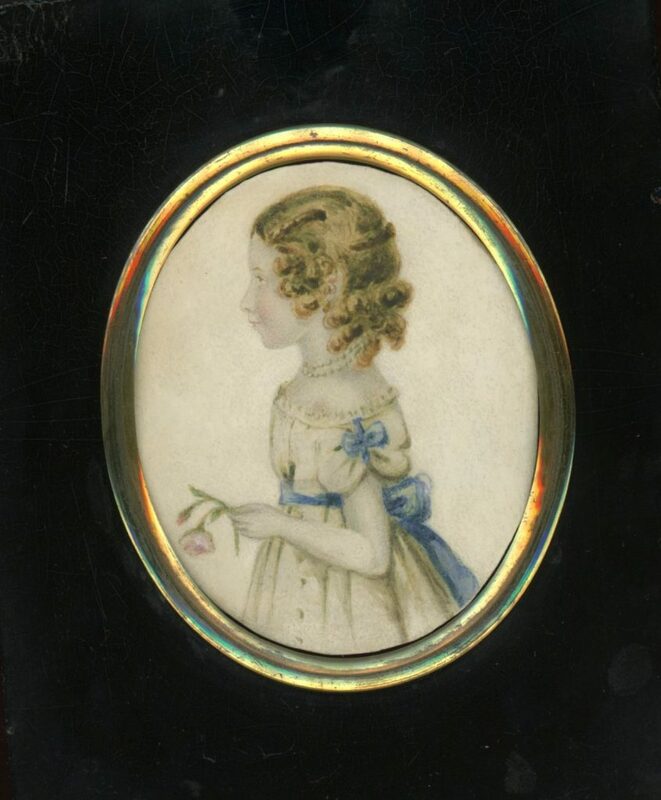 Watercolour on card, the portrait is set in a traditional papier-mâché frame with convex glass. 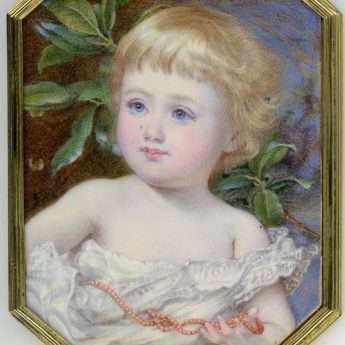 The portrait is clean whilst the frame has the usual nibbles and has lost the front part of its hanger though the ring remains secure.